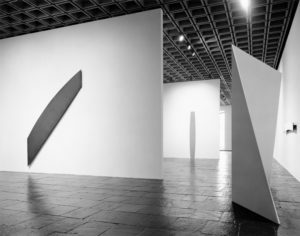 The Whitney Museum of American Art is pleased to present the first major retrospective of the sculpture of Ellsworth Kelly, an important aspect of his artistic achievement which has not been sufficiently empha­sized in previous exhibitions. It is always an honor to work with a distinguished artist as we pursue our goal of bringing American art of the highest quality to the attention of a wider public. 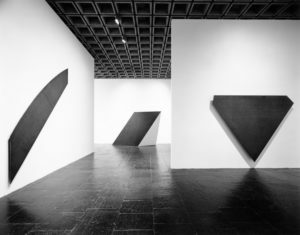 In this instance, our efforts have been particularly well served by the galleries of the Whitney Museum, which are among the few spaces flexible enough to accommodate exhibitions of this nature and scope. 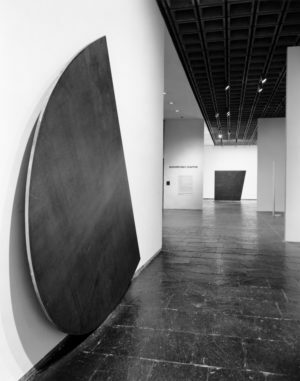 The accomplishments of Ellsworth Kelly have been recognized by the Whitney Museum for over twenty-five years. 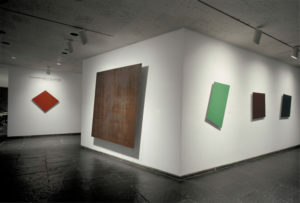 Within three years of his return to America from Paris in 1954, Kelly was included in an exhibition at the museum, “Young America 1957: Thirty American Painters and Sculptors Under Thirty-five.” Kelly’s painting Atlantic (1956) was purchased by the museum from this show, the first of his works to be acquired by a museum; Whites (1963) later became the first Kelly sculpture acquired by an American museum. His sculpture has been regularly included in major Whitney Museum exhibitions. This exhibition and accompanying catalogue have been the joint endeavor of Patterson Sims, Associate Curator, Permanent Collection, and Emily Rauh Pulitzer, formerly Curator at the Saint Louis Art Museum. Their diligent research has made a substantial contribution to the scholarship of twentieth-century American art. James D. Burke, Director of the Saint Louis Art Museum, has supported the presentation of “Ellsworth Kelly: Sculpture” in Saint Louis, allowing this important body of work to be seen in a city which has been dramatically identified with contemporary American sculpture. The funding of this project by the National Endowment for the Arts is gratefully acknowledged. More than any other organization, the Endowment has assisted the Whitney Museum to continue an active exhibition program focusing on the art of our times. 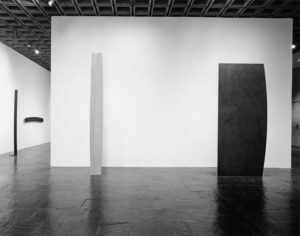 The initial support from the Endowment was augmented by a generous grant from the International Telephone and Telegraph Corporation, their first association with the Whitney Museum of American Art. 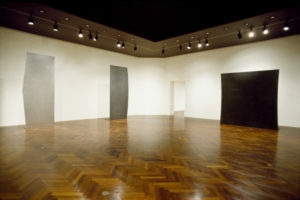 ITT deserves recognition for supporting an exhibition of austere, abstract work which makes considerable demands on the viewer. 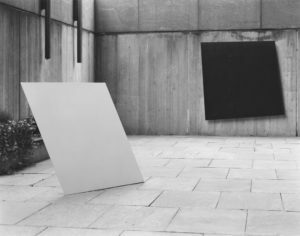 Ellsworth Kelly has contributed to the international pre-eminence of American art, and it is fitting that his importance be recognized by an American firm.